Jack Grealish got punched, then delivered a punch in the gut to Birmingham City. Grealish is known for his dribbling ability and aptitude at leaving opponents in the dust. Or as former Villa academy director Bryan Jones poses it, “He has this ability to just ghost past people and you sit back and think ‘How the bloody hell did he get round there?’” Moreover, the 23-year-old does it with an air of cockiness that infuses himself and his side with energy. Which, of courses, is absolutely zero justification for a “fan” to run onto the pitch and punch him. But that’s what happened, and what happened next is the best form of revenge. Known as the Second City derby, this fixture is a heated rivalry between two clubs separated by less than four miles in Birmingham, and those tensions clearly spilled over on Sunday. 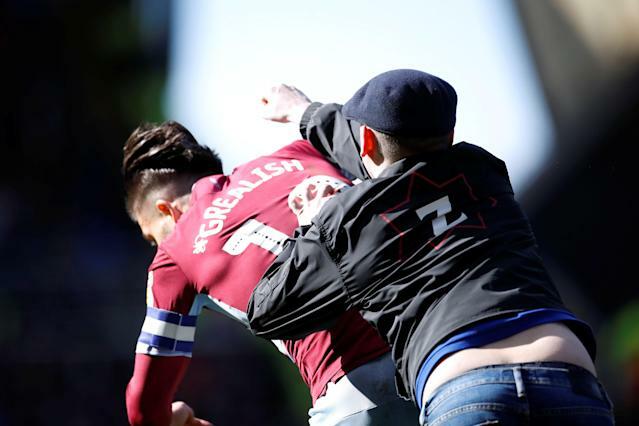 For his part, Grealish said the incident barely registered in real time. Birmingham City issued a formal apology for the fan’s behavior and promised to ban him from St. Andrew’s Stadium for life. That makes four goals now this season for Grealish, including two in his last two games. 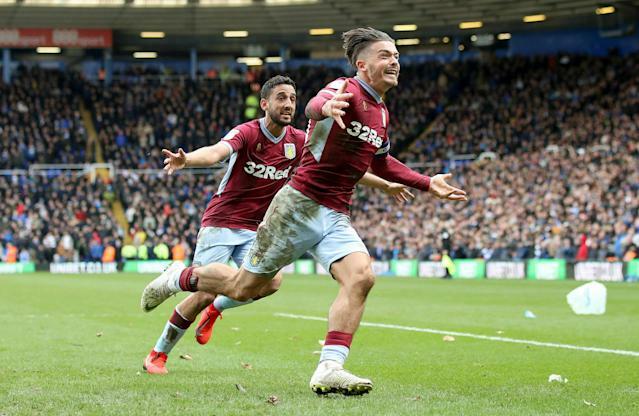 With the 1-0 win, Aston Villa is four points off the sixth spot in the EFL Championship table, which earns the fourth and final berth in a playoff to secure promotion to the Premier League at season’s end. Thats what Grealish and Villa are swinging for.